“I had a dream,” she explained. The lovely Anuak woman stood before UN officials asking for permission to go to the Nuer in Pinyudu Refugee Camp. Denied permission, she went home and that night dreamt again, dreaming that God told her to go and speak peace to the Nuer. 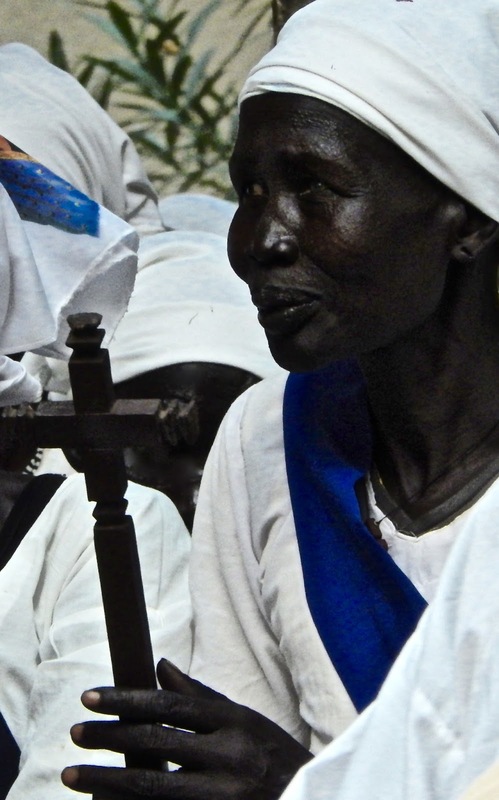 The next day she was not to be denied by any human force and, once in the camp, made her way to one of our 12 Nuer Anglican churches. There she was warmly welcomed. 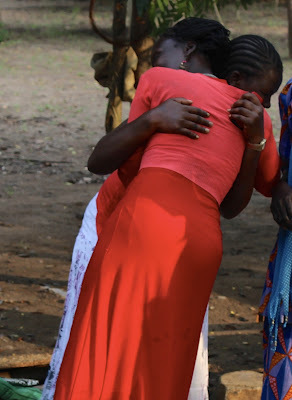 She is one of a growing number in Gambella who are saying, “In God’s eyes, we are all brothers and sisters.” In the aftermath of ethnic violence, peace between Nuer, Anuak and Highlanders is a journey of courage and obedience. Early in the morning of April 15th, Murle cattle raiders from South Sudan crossed into the Gambella region of Ethiopia. They killed over 200 people, mostly the mothers of young children, and abducted between 100 to 150 children as well as a few young women and thousands of cattle. Cooperation between the Ethiopian army, the South Sudanese government and a Murle chief of South Sudan has been responsible for the recovery of many of these children. Our Mothers’ Union Coordinator, Sarah Nyabuony is now part of the team in Gambella living with and caring for the rescued children. To date, more than 70 children have been found and returned, staying first in Gambella’s Presidential guest house before being returned to extended family and neighbors in the surrounding villages. “Slowly by slowly” peace is returning. Our ‘town’ priests Darash (Anuak) and Peter (Nuer) together went to the Gambella Hospital to visit the victims of Murle violence. In response to a government request for donations for the victims, Darash and Peter brought some money to give away. They also brought prayer. Most just wanted the prayer. Some weeks ago a group of young Nuer high school students were walking from Pinyudu to Gambella to write their high school exams (buses were not running because of the violence). They were beaten and waylaid by a group of highlanders. A week later another group of young Nuer walking to write exams in Gambella town experienced a different reception. They were welcomed part way through their journey by some Anuak in Abobo town who fed them, gave them something to drink and saw them safely on their way. When the violence began in Gambella town, it was some highlanders who were the ones to offer shelter and help. Wilson, one of our Anuak priests, while running to find and rescue his family, himself ran into danger and was taken into safety by highlanders. Like shafts of sunlight breaking through the clouds, we are seeing acts of kindness bring light and warmth to the relationships in this area. Witnessing the reunion of our Anuak and Nuer staff and clergy at the Gambella Anglican Centre brought us a joy that was almost painful. Yesterday, our 3 Mothers’ Union coordinators Achua, Sarah and Sarah together with facilitators Isaac and Darash, met on our compound for the first time since January. Their eyes were bright with joy and with tears. For two weeks our Nuer staff have been driven through Anuak territory to bring them to work. Now a couple of them have dared to walk here on their own. “Slowly by slowly” hope is growing. Our churches have begun the process of assessing and responding to the needs of those affected by the recent violence. The first load of donated clothes has been brought to Lare where many of the victims of the Murle raid are located. Throughout the whole Gambella region, our clergy and lay readers have been collecting the names of those whose houses were burned or looted. Help is now being channeled to those most in need, especially to those in need of food and clothing. Thank you to all those whose prayers and contributions to our Samaritan Fund have made it possible to bless those so desperately in need of hope and restoration. Peace in Gambella is a journey undergirded by prayer. Even in the midst of all the turmoil, we continue to see the growth of new congregations. This week I learned of a new Mabaan church in Tongo as well as a new church in Jewi Refugee camp. Darash, our Anuak Regional Dean, recently baptized 153 people in Dimma. There he learned that there are Murle who are asking to become Anglicans! Peace in the Gambella People's Region remains fragile. Please pray for the witness of forgiveness, respect and compassion to continue to grow in our churches and communities. Please pray for Johann and Louise Van der Bijl. Johann is dean of St Frumentius' Anglican Theological College. We give thanks for Karen Salmon, our wonderful professor of biblical studies who is leaving us to pursue ordination in the Anglican Church of Ireland. Please pray for Chris and Suzie Wilson who will be joining us as new faculty for St Frumentius Anglican Theological College in September. Please pray for Jeremiah Maet Paul, our Nuer professor of African Traditional Religion and Islamic studies.